Fourteen-year-old Anthony Moore’s life alters irrevocably when his father’s body is discovered, hanged on the lowest branches of a centuries-old tree in Keaton Woods. A year later, he has still not reconciled to his father’s apparent suicide or to the darkness and despair it has triggered in his mother. A loner in a small town, Anthony finds what solace he can in visiting the tree, struggling to find answers where none apparently exist. When things seem at their lowest ebb—his mother almost entirely submerged in her grief, his own self-absorption nearly complete—he meets four strangers near the tree, apparently Carnival eccentrics who seem to shift into and out of normal appearances to become demons, monsters, horrific incarnations of death. Despite his wariness, Anthony succumbs to their offer: bring four other children out to Keaton Woods for a special performance by “The All-American Travelling Troubadours” and they will give him something in return…his father’s life. As Anthony confronts this impossible dilemma, Vaudeville becomes a study in grief and loss, in hope and desperation, in selfishness and sacrifice. He knows what he should do; he also knows what he must do. And his father’s soul—his life itself—stands in the balance. If there is a problem in Vaudeville (and there must be one, or I wouldn’t have begun this sentence the way I have), it is that there is not enough of it. The narrative is in itself intriguing, the confrontation of past and present compelling, and the characters certainly worth a story. At times, however, it feels as if Chapman is explaining too much when the passage or episode fairly cries out for full dramatization, for more details and more revelation through action. 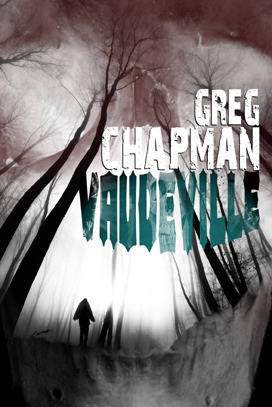 I wish, in short, that Vaudeville could be developed as a full novel, one rich in local color, in exploring connections between the Civil War past and the oppressive, terrifying present. Anthony, his mother, his father, the townspeople, and perhaps most critically the children presented to the troubadours as a sacrifice all seem deeper, more complex and more interesting than a novella-length telling allows for. In general, I try to avoid reviewing the book the author should have written rather than the one I am actually reading, but in this case, there is so much potential, so many moments that deserve more that the phantom novel kept intruding as I read. This is not to say that Vaudeville is not worth reading. It is. It is a slice of horror as horror is intended to be. But…I wish.